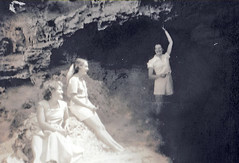 Three country Victorian girls who had spent the previous year at Bendigo Teachers’ College . But here they are on a beach at St Kilda in Melbourne on a warm Wednesday afternoon. Where should they have been ? Once upon a time I knew the answer to that question but now I’ve forgotten. But girls in bathing suits, a beach and in this case an unseen newspaper photographer bears some similarity to another 1951 photo taken at Bondi Beach in Sydney and used as this week’s prompt by Sepia Saturday. Further interpretations of Sepia Saturday’s photo can be seen here . 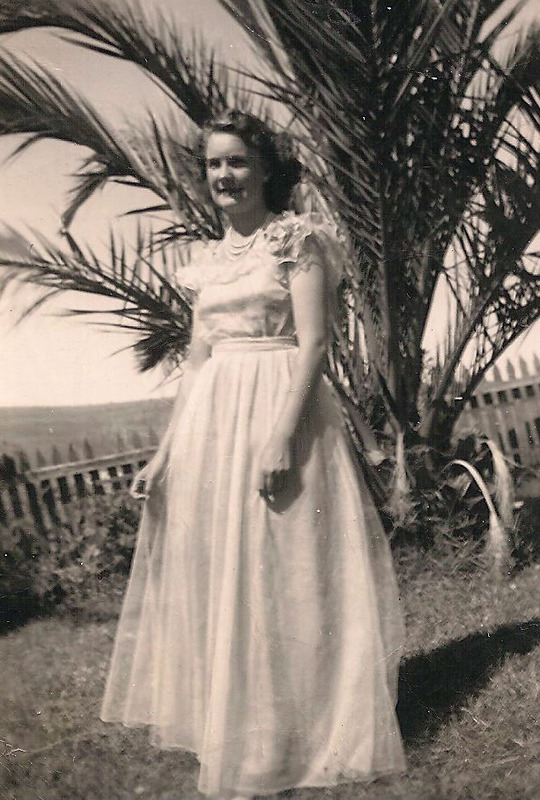 This entry was posted in Occupations, school, Teaching and tagged 1951, beach, Bendigo Teachers' College, Doreen Faulkner, Glenys Halloran, Maureen OFlynn, St Kilda on February 6, 2016 by lazycoffees. Colac is 150 km to the south west of Melbourne in Victoria. 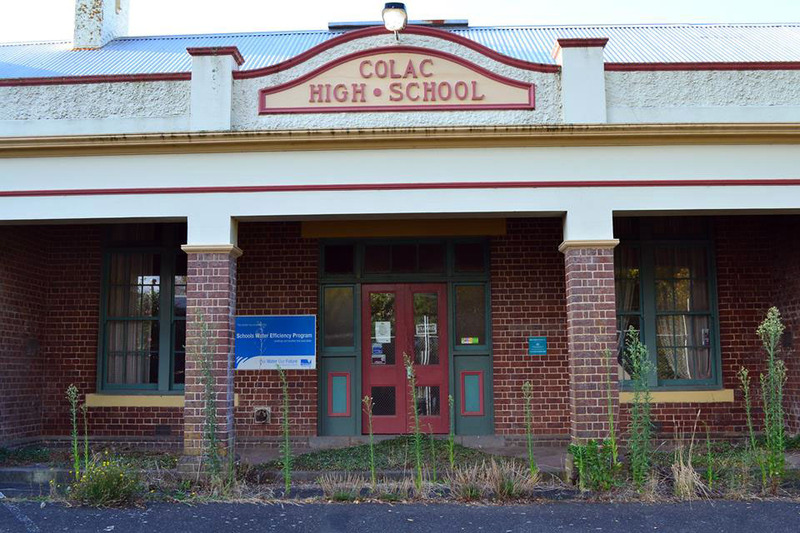 There were 61 students when the school opened in 1911 and it was known as the Colac Agricultural High School. 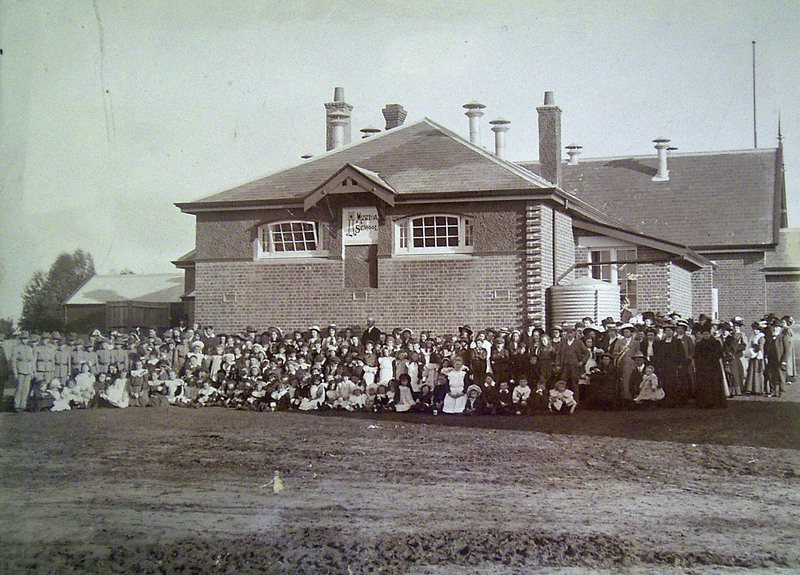 As Colac was the centre of a farming area for some years the Pastoral and Agricultural Society had been agitating for such a school. 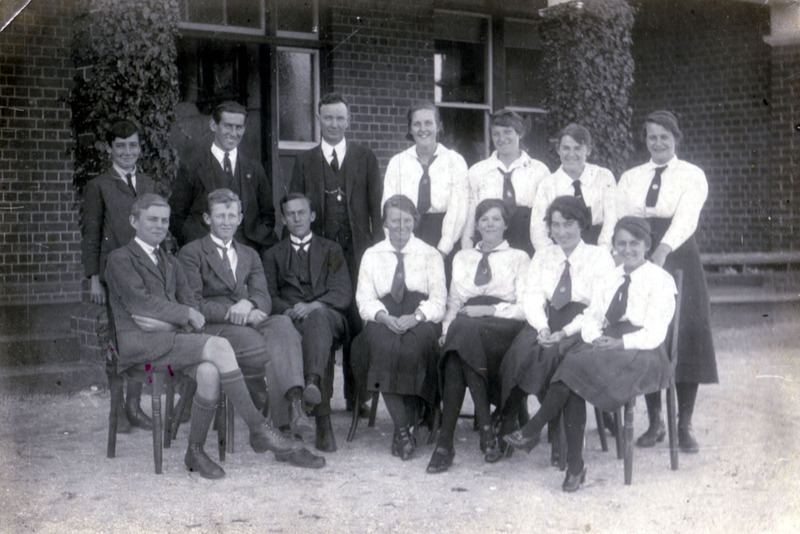 Seated at the left end in this 1920 photo is Charles Fricke, who at fifteen was still to graduate into long pants. He didn’t live in Colac but came up each term from the coastal town of Apollo Bay and boarded privately. He would ride a horse up at the start of term then the horse would go into agistment until the end of term. 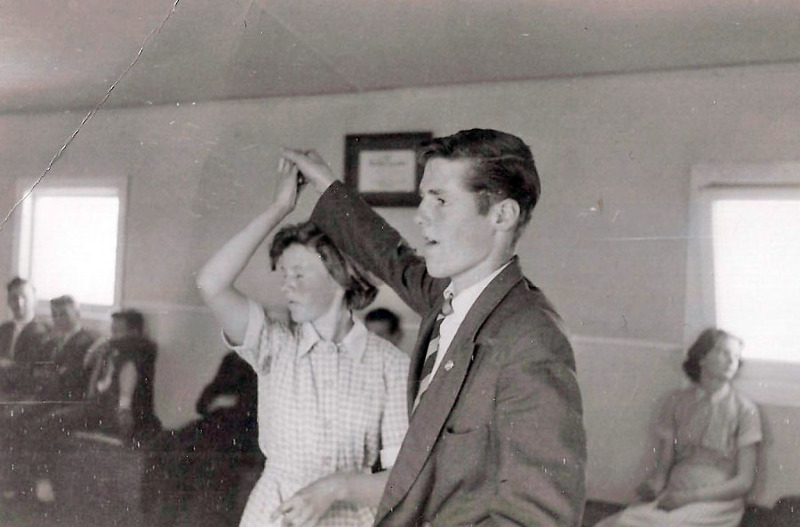 Smaller country towns couldn’t justify the need for a secondary school so the primary schools went to Eighth Grade, after which students at fourteen were able to leave school and go home to work on the farm or take other employment. Those who wanted more education went to a larger town with a secondary school , or to a much larger town which had boarding schools. 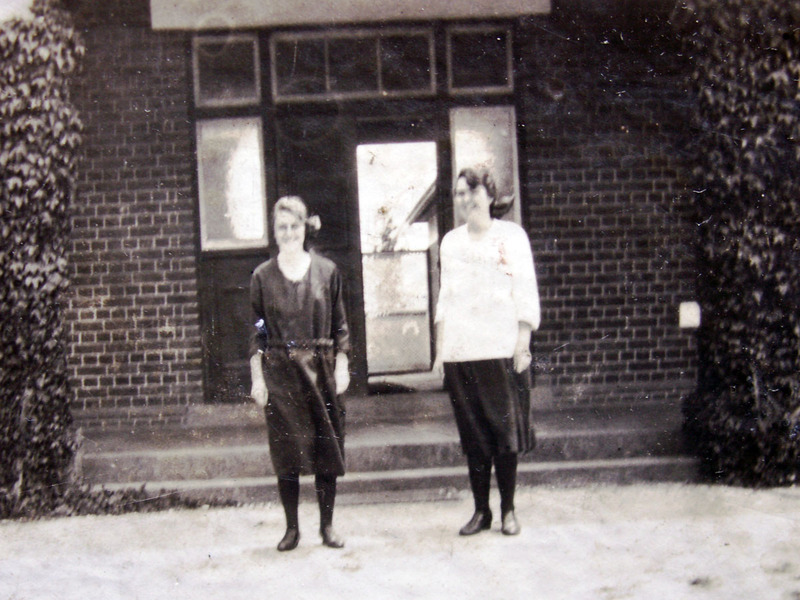 Two years after Charles was photographed his younger sister Enid (on the right) was also attending the school. Both went on to be teachers. They were then followed by another brother and two sisters. But the original school was closed and since 2008 they do their learning in a flat-roofed, uninteresting building, a derelict of the future. 1’m sure though that inside this bleak exterior some wonderful education is going on. I just can’t help loving older style buildings. The old school became derelict. The creeper went from the pillars, the weeds grew, the building was vandalized. Let’s hope they can find some use for the old lady. More group photos can be found in the list on this week’s Sepia Saturday. 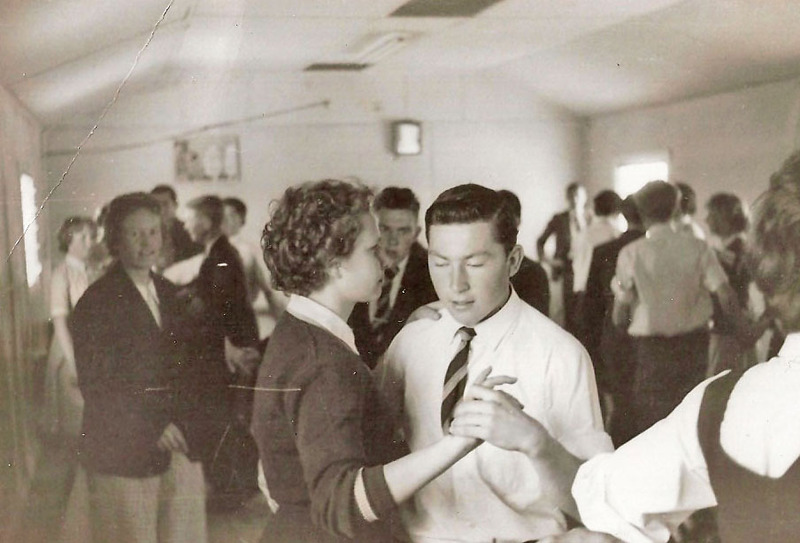 This entry was posted in Farming, school, Uncategorized and tagged 1920, agricultural high school, Charles, Colac, education, Enid, Fricke, High School, prefects, school on July 11, 2015 by lazycoffees. i love the bobbies in this week’s Sepia Saturday image with their helmets and one of them wearing a long coat. 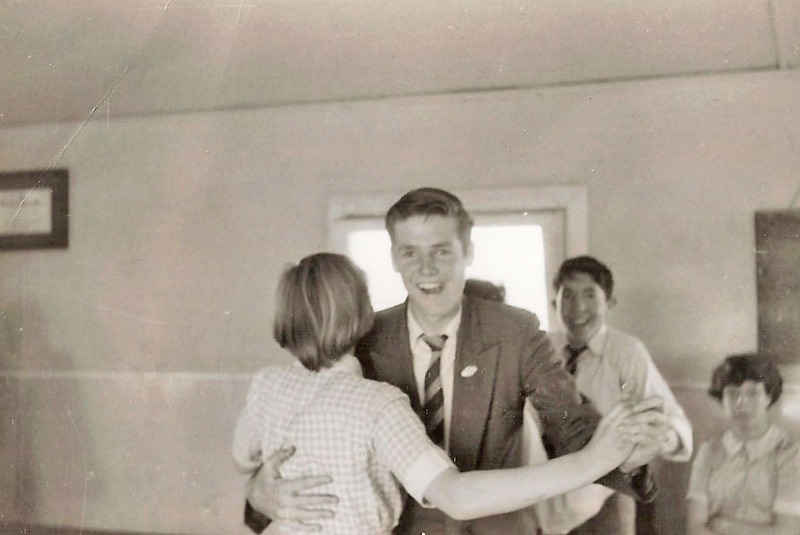 I would dearly have loved to have found a matching image in my family album. Instead I had to settle for the occasional use of the word police in family stories. Tom Tansey brushed with a policeman on a horse in his fishing escapade, and the newlyweds lost their pack horse when it escaped from a police paddock. This time a police paddock crops up again in an another vague connection. 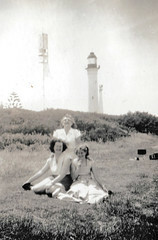 When the Tansey family left Geelong to live in the much smaller country town of Murtoa, 273 km to the north west, the two girls were enrolled at the local primary school in March 1909. We were told that they lived 1/8 mile from the school in Cromie St, just across the road from the back of the school, in the second house from the police paddock on the corner at the rear of the Police Station. So with this contrived connection what better reason is there for looking at the school the girls were attending. 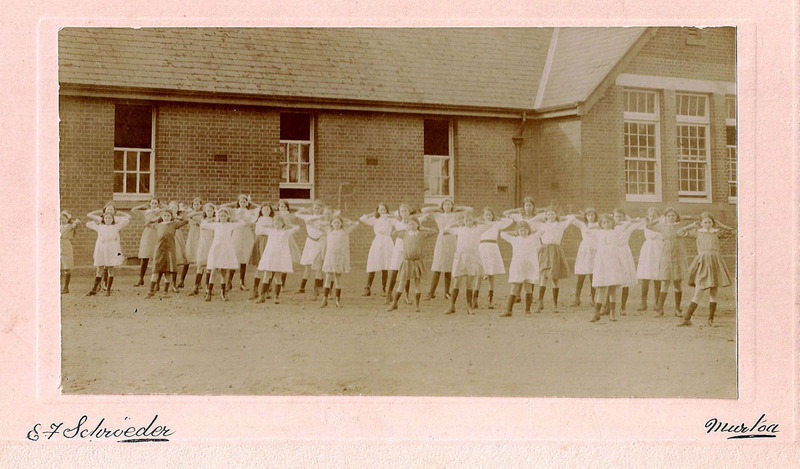 Exercises were part of the curriculum and this photo was taken c 1911. Vera Tansey who was to grow up and use the Lucy Drake Cook Book is sixth from the left in the front row. A bit earlier a photo had been taken of some of the girls with some rather intimidating looking adults. 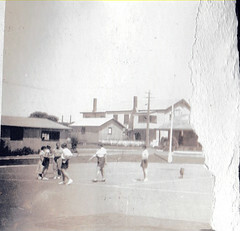 I’d put this photo c 1909 . 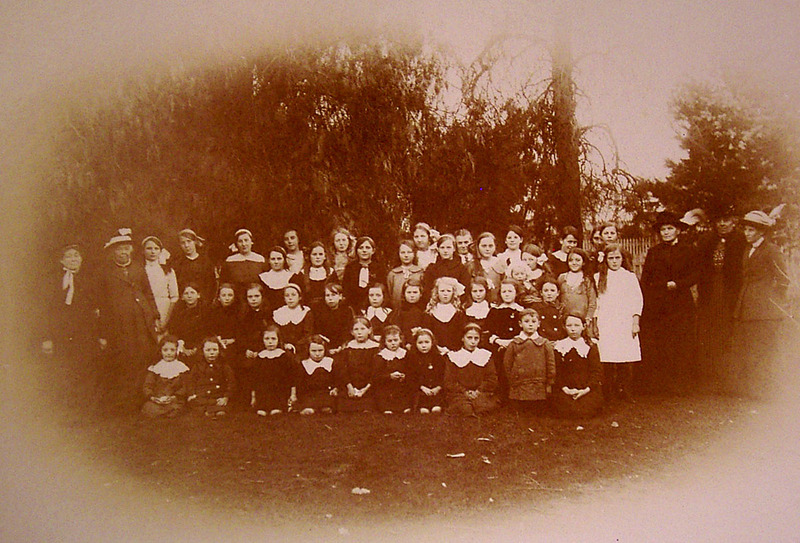 Vera and Hilda Tansey are 3rd and 6th from the left in the front row. Six months after the girls arriving at the school a new wing was officially opened and I believe this next photo was taken that day. Not a large number of pupils but enough older boys for a Cadet Corps. 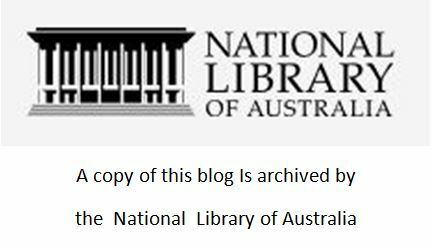 This entry was posted in Family History, Family Stories, History, school, Uncategorized and tagged 1909, Murtoa, school, Tansey on October 25, 2014 by lazycoffees.